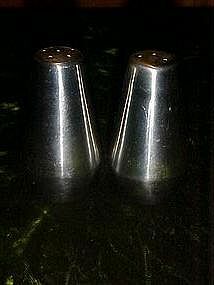 Fifties style stainless salt and pepper shakers measure just over 3" tall. Plastic stoppers. No dings or dents.